Nunavut's Leona Aglukkaq will be the first Inuk ever to lead the Arctic Council, the world's main international forum on northern issues. Aglukkaq, who is also Canada’s health and northern development minister, took over the chairmanship from Sweden’s Foreign Minister Carl Bildt during a ceremony in Kiruna, Sweden, on Wednesday. "The time has come to embrace the Arctic and realize the tremendous potential and opportunities it has to offer for all of us," said Aglukkaq. "With the help of our Arctic Council partners, we will focus on creating economic development and sustainable northern communities." The council has been gaining status in recent years, as thawing ice, new trade routes, sovereignty disputes and oil and gas development have intensified interest in the resource-rich region. Inuit Tapiriit Kanatami, which represents Inuit in Canada, welcomed the handover of power. ITK president Terry Audla said in a statement that having an Inuk as the chair of the council will ensure Inuit knowledge and values are represented when dealing with issues crucial to the Arctic. Nunavut Premier Eva Aariak said she’s also pleased Aglukkaq will lead the council for a two-year term. “This is the opportunity for Canadians to lead in the Arctic at a time when climate change and economic development are attracting global attention to our region,” she said in a statement. Member states decided Monday that the E.U. must answer more questions about the ban on seal products before being granted observer status. The E.U. 's request for observer status was an issue both Aariak and Audla highlighted in their statements. Audla and ITK are opposed to admitting the E.U. based on its controversial ban on seal products. “I believe we have been provided with an opportunity to educate the E.U. members on the sustainable hunting practices of Canadian Inuit, lessons sorely needed for a group who has clearly based past decisions on political pressures from animal rights groups rather than on more reasoned options and objective scientific facts,” said Audla. Audla added that he hopes the Arctic Council will only grant the E.U. observer status if it lifts its ban on seal products, which he says has hurt Inuit – many of whom rely on the seal hunt for food, clothing and livelihoods. Member countries of the Arctic Council include Canada, the United States, Russia, Denmark, Finland, Iceland, Norway and Sweden. China, Japan, India, South Korea, Singapore and Italy were granted observer status Monday. Those countries have interest in the Arctic because of resource development and the opening of new, shorter shipping routes. "We'll continue to work with the EU on ways to address that particular concern," said Aglukkaq of the seal products ban. The environmental organization Greenpeace was also denied observer status. Other non-governmental organizations such as energy industry groups were also denied. The council, as expected, also adopted an agreement on marine oil pollution preparedness — the second legally binding treaty negotiated by the council and a sign of its growing diplomatic importance. Canada's agenda was also adopted. It promises to place northerners at the forefront of the council's discussions and to emphasize environmentally sound business and resource development. 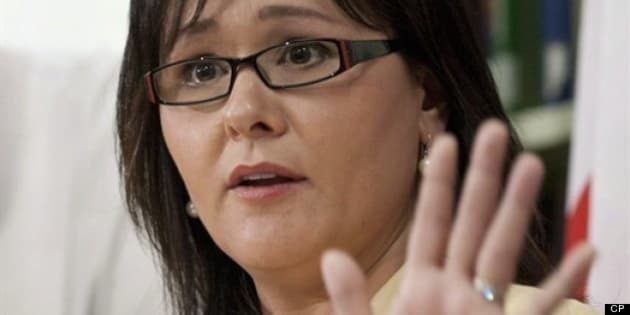 Aglukkaq has previously described her proposed Arctic business forum as a combination trade show and conference where businesses can exchange ideas and best practices. On Wednesday, she suggested it might also address environmental regulation where companies operate in more than one Arctic country. "The mitigation measures will differ. Why don't we collaborate more?" A group of 42 Arctic aboriginal leaders and organizations, including two of the six permanent participants on the council, have expressed concern about that agenda. Earlier this week, they released a petition calling for tight restrictions on industrial development. "I was a bit surprised and disappointed," Aglukkaq said, adding that Canadian aboriginals have considerable control over development. The petition also surprised Duane Smith, head of the Inuit Circumpolar Conference, another permanent participant. He criticized the signatories for working with Greenpeace, a group widely disliked in the North for its one-time opposition to the seal hunt. "They didn't consult with us," he said. "We do have similar concerns in regards to how development is conducted and we could have come up with a better approach to it instead of allowing Greenpeace to take the lead." The World Wildlife Fund, which has observer status, said the council now needs to focus on implementing some promises it has already made and on extending its deal on oil-spill preparation into prevention. The council also needs some way to hold members to account for those agreements, said Alexander Shestakov, the group's director of Arctic programs. "It's really important now that Arctic states are really seriously paying attention to implementing those decisions." Members of the council have been attending meetings in Kiruna, and several reports have been released. The first is about the biodiversity in the Arctic. The report is 560 pages, and is called the "Arctic Biodiversity Assessment." It's a compilation from one of the Arctic Council’s working groups. The report makes 17 recommendations. It says climate change is the biggest factor in the overall change in biodiversity in the Arctic regions. It also calls for more co-operation when gathering data, and suggests a pan-Arctic conservation management plan for shared species among regions. "I'm encouraged that Canada can take a leadership role and I just really hope that science can sort of be unadulterated by political expediency, which just seems to happen much too often these days," said Bill Montevecchi, who studies Arctic biodiversity at Memorial University in Newfoundland. The World Wildlife Fund praised the agreements on oil spills and biodiversity and talks to strengthen shipping regulations. But it pointed out that a deal on black carbon, or soot, was blocked and there has been little progress on reducing the impacts of climate change. "They have not completely ignored these issues, but have put them on the back burner for two years," said Shestakov.